Microsoft is rolling out a new update to Edge browser for iOS with new features and improvements. 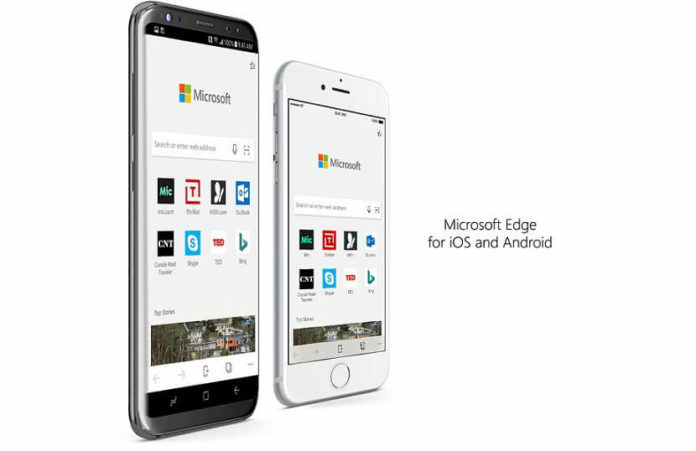 Microsoft Edge for iPhone was released officially and is available for download for all users but currently limited to US customers. The company updates Microsoft Edge regularly with fixes for crashes, bugs, and performance. Microsoft Edge on iOS has been updated with support for Apple’s Flagship iPhone X which makes it possible for users to access web on the iPhone X full screen. The updated version 41.6.0 includes support for iPhone X and also fixes for some annoying bugs. The company had earlier added additional security layer with two factor authentication which allows users to sync passwords between devices. You also now have the option to sign in which was added by the Redmond Giant in the previous update. Microsoft Edge for iOS latest update is only available for beta testers, to get the update you will need to visit Microsoft’s webpage and enroll in Apple’s TestFlight app program. You would need to enter your Apple ID information to be part of the TestFlight. You’ll then receive an email from Apple within 24 hours with further instructions. After successful testing with beta testers, the update should be pushed out to all iPhone users in the coming weeks and days. Till then if you are enrolled in the TestFlight program then you should be able to see the update for Edge Preview.